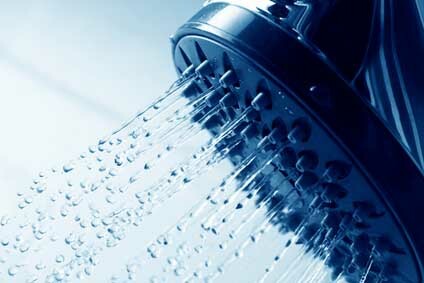 Undoubtedly, you love the warmth of a nice, hot bath, or a nice hot shower, helping you relax after a hard day’s work. You feel good, but your skin, on the other hand, isn’t happy. This chlorine water, which is very aggressive to our epidermis, weakens and dries out our skin, and causes that sensation of stretched skin after a shower. Thus, the skin ages faster. The harmful effects are made even worse by the warmth, which acts as a catalyst. Don’t worry, I’m not going to tell you to turn your bathroom into a mineral water storage. That might be a little costly. Use water at a moderate termperature; you can make it warm, but not too hot. I won’t tell you a specific temperature, it’s too subjective for that. For those who want to be extra careful, you can invest in a chlorine filter, which neutralises the chlorine as well as other contaminants, depending on the model you pick. In my case, I’ve opted for a chlorine filter (around 80 US dollars) and I have the filter replaced every 6 months. The filter costs 30 US dollars. Not being much of a tinkerer, I read up a bit and was expecting it to be a Herculean task… but actually, it’s just a little filter of a few centimetres that you put between the tap and the shower hose. You can screw it on in 3 minutes and then you’re all set. Anyone can do that, even if you’re rubbish at tinkering. Results: everyone who has used a chlorine filter has noticed a clear difference, no more stretched skin sensation, no more eye irritation, they noticed that their hair was more silky… and most importantly, that they skin was softer. And that’s what you wanted, isn’t it? That’s right, the best anti-wrinkle cream is a chlorine filter. To those of you who asked, I don’t remember what brand I got, but enter “chlorine filter” or “shower filter” into Google and I’m sure you’ll find something. Here’s an example. What about you? Have you installed a chlorine filter yet ? Any results?